The Public Art League is proud to announce the installation of Athirst, a sculpture by Sarah Deppe. The Public Art League worked with the City of Urbana to install the piece at the corner of Race and Griggs Streets on Friday, November 21. The sculpture was unveiled as part of Urbana's ribbon cutting ceremony celebrating the improvements to the Boneyard Creek at that location. 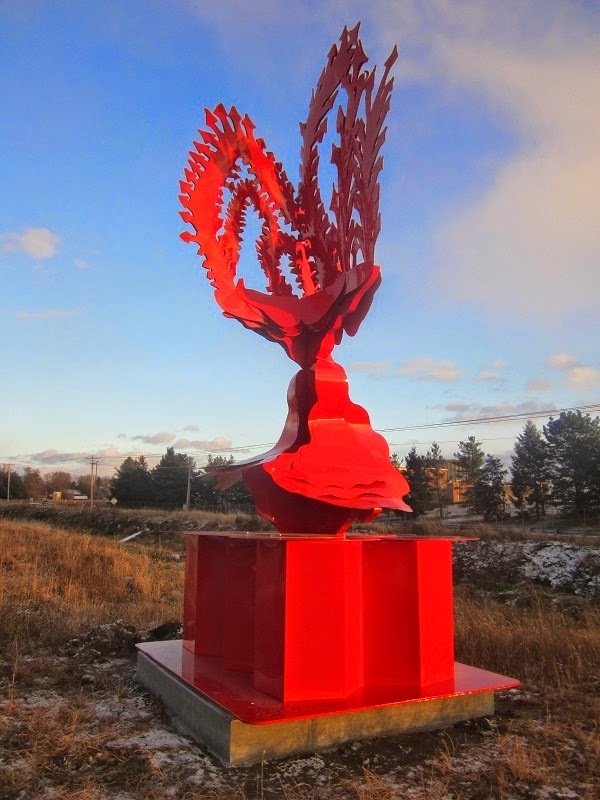 Athirst represents the 50th sculpture Public Art League has brought to the community since 2010, and its installation is possible thanks to the generous support of Mike & Connie Hosier and David & Janet Peshkin. Sarah Deppe received her BFA from the University of Northern Iowa and is currently an MFA candidate at the University of Wisconsin-Madison. Deppe’s work has a strong environmental and science component; she incorporates elements she has gathered, whether it be natural, such as living plants, bark and wood, or reclaimed industrial materials, such as textiles, rubber and plastics, into her work in some way. Her sculptures often have a dynamic, flowing surface pattern created by the manipulation of these materials. She strives to juxtapose natural and man-made materials to show a tension between the natural and industrial worlds. The Public Art League is proud to announce the installation of Flamenco Revisited, a sculpture by Ruth Aizuss Migdal. 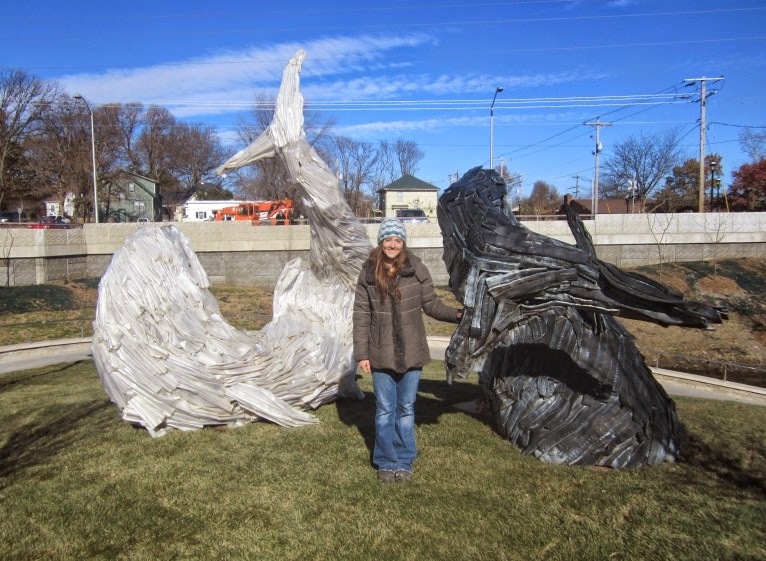 With assistance from a dedicated crew from the Champaign Park District, the piece was installed in Porter Park (near the corner of Windsor and Rising Roads) on Monday, November 17. Flamenco Revisited represents the 49th sculpture the Public Art League has brought to the community since 2010, and its installation is possible thanks to the generous support of Barham Benefit Group. Ruth Aizuss Migdal received her BFA from the School of the Art Institute of Chicago and MFA from the University of Illinois in Champaign, both in painting and printmaking. She has had a prolific academic career, with various lecturer positions and professorships at colleges and universities across the country, multiple publications and citations, and participation in conferences from New York to California. In the 1970s she became a sculptor, working with clay and exploring shapes of the female human torso in its many complexities. After a workshop in mold making in 1990, she switched to bronze, which she continues to use because of its permanence and flexibility.